Yum. I was just getting over a cold and Friday morning after I visited a client to do some media coaching, I headed over to the Chandler Derma Health Institute location for a Pumpkin Peel Facial. It was divine! Along with the pumpkin facial, you get a microdermbrasion too. Later that night, I was at a dinner talking to some girls I had just met. When I mentioned my age, both of them remarked that they were amazed I was “that old” because they said my skin looked so good! I did some research on what is in pumpkin and why its so good for you. Check this info out. 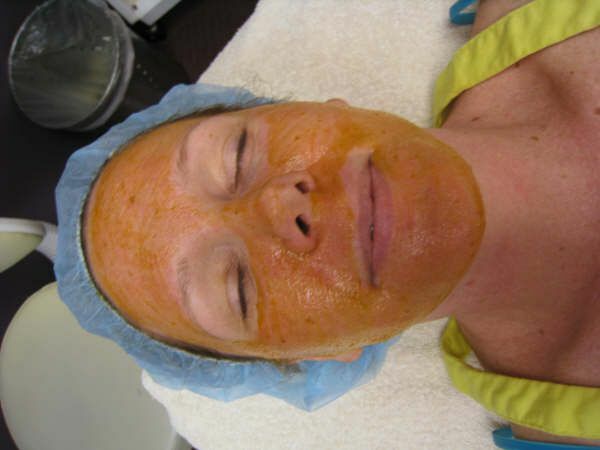 Want to get a Pumpkin Peel Facial? Its only $125. It’s everything you would receive in a full facial with steam, extractions (i.e. black heads) and mask. It includes face, neck and hands and also includes a neck massage and hand massage, all of this as well as a microdermabrasion. Derma Health Institute offers services such as laser hair removal, microdermabrasion and laser wrinkle and acne scar reduction. New services include permanent make-up application, Vela Shape, Active FX fractionalized laser treatments and Titan body skin tightening for the arms, abs and buttocks. Many of these techniques help customers achieve smooth, firm and fresh, new skin. Derma Health Institute provides customers with free consultations to determine their skin needs. This entry was posted in blog and tagged AZ, CHANDLER, DERMA HEALTH INSTITUTE, facial, GILBERT, MESA, pumpkin facial, pumpkin peel, TEMPE. Bookmark the permalink. One Response to "Mmmm…Pumpkin FACIAL!"